Morgan is one of my models for the JCP Street Team. 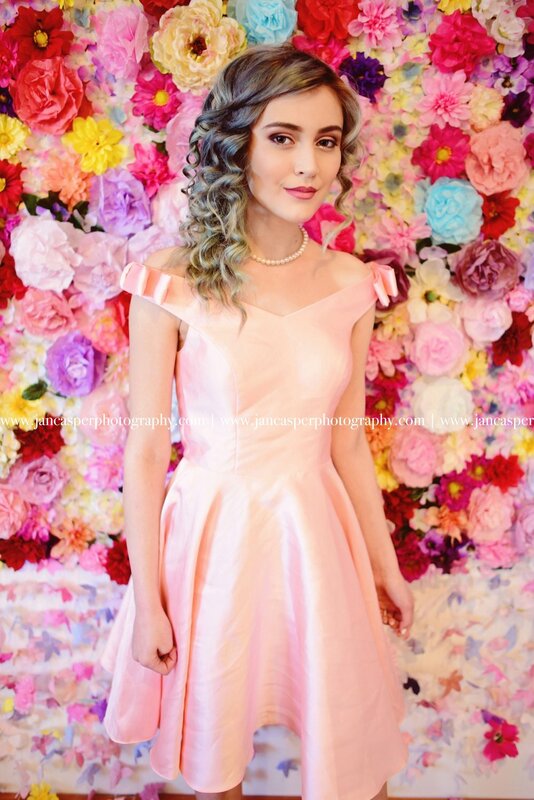 Morgan wore a gorgeous pink party dress for one of the looks for the photo shoot. The dress looked perfect with the floral backdrop. I styled the girls with cute party dresses and fun tulle skirts for a bright colorful party themed photo shoot. There was a beautiful table with lots of sprinkle cupcakes and tasty cookies. The table was a great prop for the shoot and added an extra fun element to the party shoot. Morgan's photos looked amazing. She's an amazing model and always such a pleasure to photograph.